The largest of the Health Service Areas, Thompson Cariboo Shuswap covers the largest geographical area and services a population of 220,000. A region of spectacular beauty, agricultural abundance, and historic richness, the Thompson Cariboo Shuswap offers all the amenities of an urban centre without the hurried pace. There are year round sports and recreational activities, including ice fishing, curling, cross-country, downhill and heli-skiing, and snowmobiling in the winter. In the summer, outdoor pursuits include mountain biking, hiking, golfing, and all forms of water sports. The Thompson Cariboo Shuswap region is a well-developed arts and cultural environment, with special events like the Merritt Mountain Music Festival, the Salmon Arm Jazz Festival, the Cariboo Fall Fair and Kamloops Music in the Park. In addition, there are the Kamloops Symphony, the Western Canada Theatre Group and the Cariboo Art Gallery and Music Society. With a vast wilderness and rich history, countless adventures in the great outdoors await you in 100 Mile House. 100 Mile House is a centre for outdoor activities and is becoming increasingly known for its excellent birdwatching. Fishing is extremely popular at any of the one hundred lakes surrounding the area. Known as the Nordic Skiing Capital of BC, 100 Mile House boasts over 150 km of groomed trails which convert to excellent mountain biking trails in the summer. Arts and culture are alive and well in this region with plays, concerts, music, galleries and artists featuring a wide array of creations. 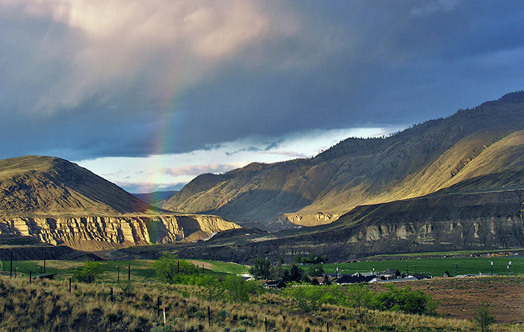 Though it’s situated on the banks of the Thompson River, Ashcroft’s desert climate, blue skies and sunny days are the perfect setting for excellent camping, birdwatching, white-water and back road adventures. 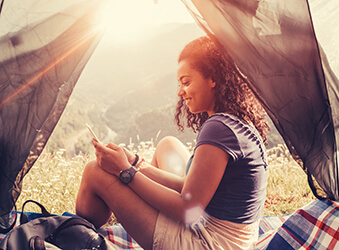 Ashcroft offers the outdoor enthusiast many recreational activities, from fishing and camping in the nearby lakes to horseback riding, hiking and mountain biking on the many trails surrounding town. The Ashcroft community is very active and promotes its diversity with many shows and fairs held throughout the year. Its Stampede and Fall Fair are just two annual events drawing crowds from all over the Province. Barriere is a place where you can truly appreciate the slower paced lifestyle and strong sense of community that rural living offers. 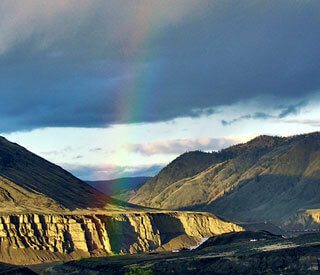 Barriere is located 45 minutes from the city of Kamloops where all the conveniences of a city can be found. Residents enjoy being close to pristine lakes for swimming and fishing, rivers for rafting and angling, exciting ski hills close by and miles of hiking trails. 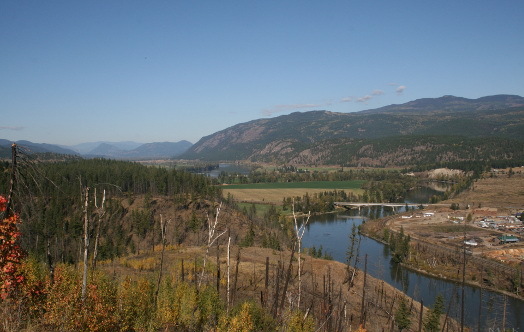 Known as The Gateway to the Shuswap, the lakeshore town of Chase is located at the southern end of the Little Shuswap Lake. Chase and its surrounding area are wildly popular in the summer time. For winter activities, the renowned Sun Peaks Resort is within an hour's drive. 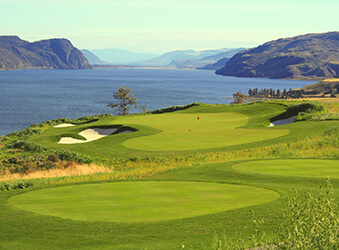 Chase offers small-town living but is conveniently situated 40 minutes from two larger centres: Salmon Arm to the east and Kamloops to the west, each with its own unique amenities and events. The climate is desirable to those seeking shorter and milder winters and gorgeous summers. I relocated to Chase from the city several years ago and now live five minutes from work. Less stress and greater access to so many activities has contributed to a healthier and happier lifestyle. Walking through the front doors of the Clearwater hospital you know why you work here: from the beautiful ski lodge-looking building, to the friendly face at reception that greets every patient by name, to the kitchen staff who remind you that you ordered lunch and it’s ready. You will never walk down a hallway at DHMH without hearing a laugh or seeing a smile. This is a workplace of ‘WE’ − WE make this community the amazing place it is and WE make this hospital about every person in this community. 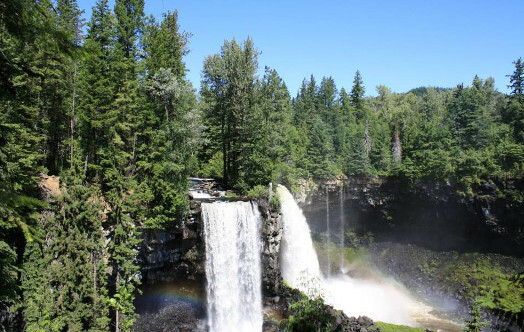 With eight provincial parks and numerous lakes nearby, Clinton is BC’s Gateway to the Cariboo offering no end of spectacular scenery and recreational splendor for residents and visitors alike. Clinton is a small, friendly community conveniently located close to larger centres. It offers a relaxed lifestyle and low cost of living in one of the most pristine natural environments in the world. 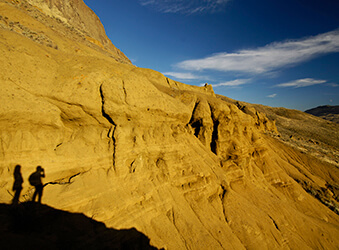 As the Guest Ranch Capital of Canada, Clinton offers a host of authentic wilderness adventures. Clinton enjoys some of the best groomed cross-country ski, snowshoeing and snowmobiling trails in the Cariboo. Clinton’s small population belies its active community with a myriad of popular annual events, clubs and associations. Proud to be Canada's Tournament Capital, the city of Kamloops is situated in the heart of the southern interior at the meeting of the North and South Thompson Rivers. 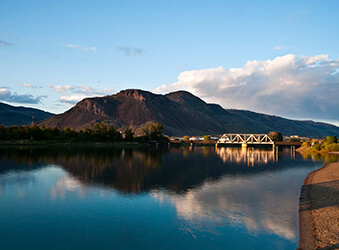 Kamloops is the 3rd largest city outside the Lower Mainland and is the centre of commercial trade and services for the region. Residents enjoy a lively professional arts scene that offers up a variety of galleries, the symphony, and a number of live theaters, modern shops, excellent parks and multi-use trails, world class ski and golf resorts, top recreational facilities as well as an endless choice of water sports and fishing lakes. Kamloops is home to some of the best mountain biking in North America and the renowned four season resort Sun Peaks is only 45 minutes away. Blue skies, endless sunshine, one thousand lakes and spectacular landscapes make the Kamloops region the natural place to work and play. 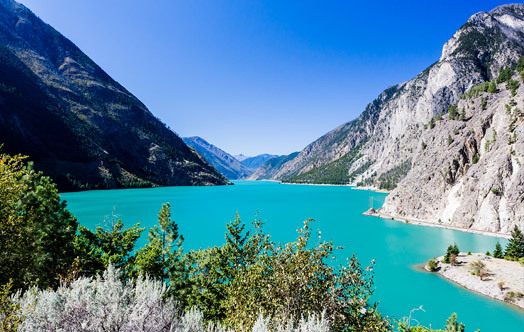 With one of the most pleasant climates in Canada, Lillooet’s legendary mountain scenery, history and vibrant community make it a wonderful place to live, work and play. 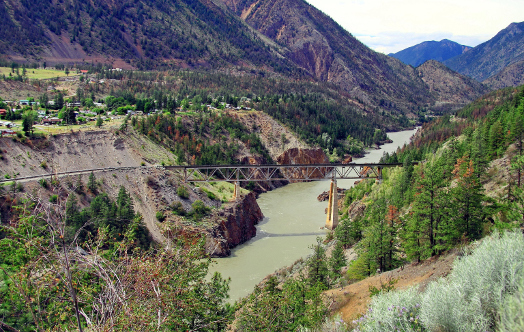 Nestled on the banks of the Fraser River, Lillooet is brimming with amusement for people of all ages. 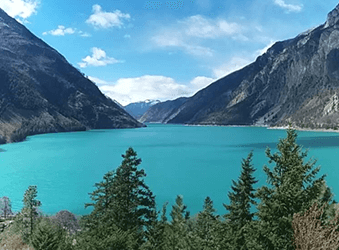 Hundreds of kilometers of trail systems surround Lillooet and offer no end of hiking, cycling, birdwatching, camping and endless opportunity to explore. Fishing and excellent white-water rafting are just two of the many opportunities to enjoy the water around Lillooet. Logan Lake is situated in the heart of the Highland Valley; a pristine natural environment of mountains, lakes, and forests. 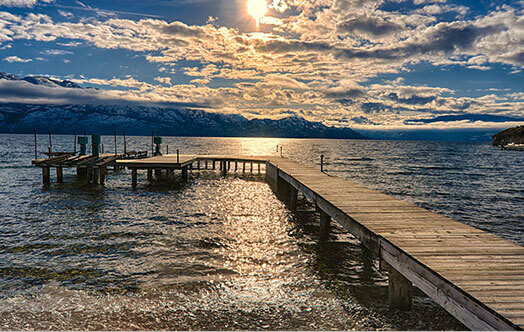 The community is popular with outdoor sports enthusiasts and backcountry explorers, and takes pride in its family-oriented, friendly community. Logan Lake is known for its many seasonal events including the Western Cup of Pond Hockey Tournament and “Polar-thon” triathlon in the winter, and the Little Britches Rodeo and ATV BC in the summer. The area also boasts world-class fishing, hiking, and biking, and over 36 kilometres of cross-country ski trails. Snowmobiling and ice-fishing are also natural draws. Logan Lake has a great balance between country/rural life and business, and outdoor activities. It is not unusual to find oneself in the midst of a ranch’s cattle drive while on the way to work at one of the local professional offices. Popular attractions include many lakes in the surrounding area used for fishing and water activities, the wilderness for hiking, hunting and back country sports, and the pretty lake and park right in the centre of town! Lytton is situated at the meeting of the Thompson and Fraser Rivers, cutting a treacherous path through jagged mountains, the Fraser River has created what is, arguably, one of the finest river canyon landscapes in the world. Its extraordinarily diverse geography makes Lytton a top choice for adventurers. A wonderful gateway to outdoor recreation, Lytton is as rich in history as it is in exciting adventure. Lytton is known as the Rafting Capital of Canada and offers challenging river routes for rafting and kayaking in excellent white water. For more tame outdoor pursuits, hiking, camping and fishing are all nearby. Merritt’s rolling hills, sparkling lakes, and over 2,030 hours of sunshine every year make it a haven for four-season outdoor recreation. With a thriving arts community, an art gallery located in Merritt’s historic Court House, and an active Arts Council, the communities’ arts are flourishing. The summer offers some of the best sailing and windsurfing in North America, and nearby Nicola Lake offers endless choices for water activities. The area is also known for the beautiful horseback riding opportunities as well as camping, fishing, and endless trail systems for renowned mountain biking and hiking. Winter brings opportunities for Nordic skiing, snowshoeing, snowmobiling, ice fishing, and curling, to name a few. 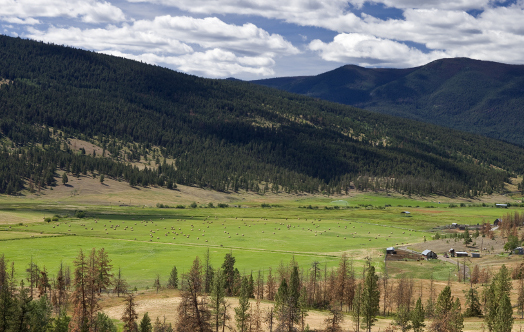 Prior to moving to the Nicola Valley in 1991, Merritt is where we came to holiday. We loved the feel of being in our homey little valley with camping, fishing, hiking, biking, and kayaking just a heartbeat away. I began working at Nicola Valley Health Centre in 2001 and quickly learned the intricate specialty of rural nursing. We work together, we have coffee together, we celebrate each other’s triumphs or losses. We know each other both at and away from work, acknowledge each other in the grocery store, on the hiking trail, or at one of our many nearby lakes. We know each other’s families. Merritt is where we call home. In town, everything is accessible on foot, or a quick 10-minute drive. Getting to hiking trails and lakes is only a short distance beyond the city limits. Every time I get to the great outdoors, it still takes my breath away....23 years later. Merritt really is a great place to live and work! Located between the Monashee Mountains and Selkirk Ranges, Revelstoke has some of the most spectacular scenery in the province. Ancient glaciers, mountain streams, awesome vistas and abundant wildlife provide welcome respite from the frantic pace of city life. Revelstoke is home to some of the best adventure recreation opportunities in the world. Summer activities including fishing, hiking, biking and white-water rafting complement winter activities such as heli-skiing, cat skiing and snowmobiling. Revelstoke has been rated as the #1 snowmobile destination in North America, and development of a major four season resort at Mount MacKenzie is currently underway. When I first moved to Revelstoke, I did not expect this city to capture my heart the way it has. Every day I am surrounded by glacier-capped mountains and views that never get tiring. My work started in Revelstoke at QVH as a care aide, then acute care RN, and now public health nurse for 16 years. My co-workers in all departments know each other, have fun together, and work as a team for client care. I never hesitate to give someone a call for help or information. Fortunately, this is how our whole city works. My community partners work together on common goals, looking to see what they can bring to our next project. I truly love the people and living in this little town. I have even learned to swim in the glacier-fed lakes! 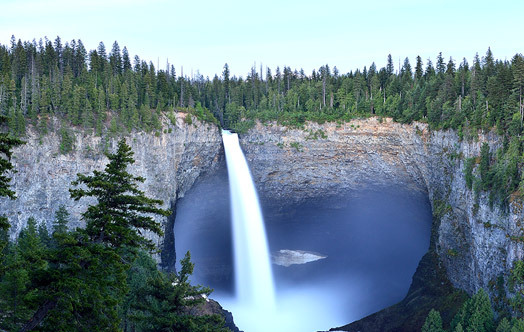 Situated in a lush valley on the shores of beautiful Shuswap Lake, the city of Salmon Arm is a popular year-round vacation destination thanks to its wide variety of cultural, seasonal, and outdoor recreation opportunities. From hiking to boating, to the annual Salmon Arm Roots & Blues Festival, there is no shortage of opportunities for building a healthy lifestyle in this family-friendly community. Twenty-four years ago, my family relocated to the interior of B.C. from the Lower Mainland in pursuit of a different-paced lifestyle. We were attracted to this area because of the warmth and friendliness of the people and of their strong sense of community. We were also attracted to the four seasons of recreational activities that nature has provided in our beautiful area. I have never looked back or regretted the decision to relocate and feel blessed to live and work in this community. 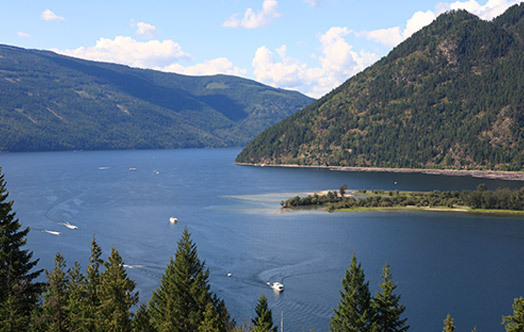 The Gateway to the Shuswap, Sicamous is nestled amid the Monashee Mountains on the shores of the Shuswap and Mara Lakes in the Eagle Valley. Sicamous is a young, growing community and offers a number of children's sports programs, community service organizations and a full range of clubs and special interest organizations. Summer months offer every water activity imaginable including house boating – for which Sicamous is best known. In winter months, Sicamous offers snowmobiling, curling, skating and is perfectly situated to take advantage of a number of nearby ski hills. Tatla Lake is a small unincorporated community in the west Chilcotin area of British Columbia, Canada, located at the west end of its eponymous lake. Situated 220 km west of Williams Lake along Highway 20 (Chilcotin Highway), Tatla Lake's 123 people live approximately half-way between the two ends of the highway; Williams Lake to the east and the coastal community of Bella Coola to the west. The community is the service centre for three major mountain valleys of West Branch, Chilko and Tatlayoko. These valleys extend southward via secondary roads to the south. Williams Lake is located in the heart of the Cariboo Chilcotin. As the largest and fastest growing city in the area, it serves as a business, industrial, and service hub for outlying communities. The surrounding pristine wilderness provides an unlimited playground, while the convenience of city living is just outside your door. Home to the famous Williams Lake Stampede, rodeo enthusiasts and community members come together for a fun-filled family event every summer. Outdoor recreation enthusiasts are drawn to the area's natural amenities. World-class mountain bike trails, miles of hiking and skiing terrain, and hundreds of lakes fit for kayaking, rafting, boating, fishing, and camping make Williams Lake one of B.C. 's last true wilderness escapes. 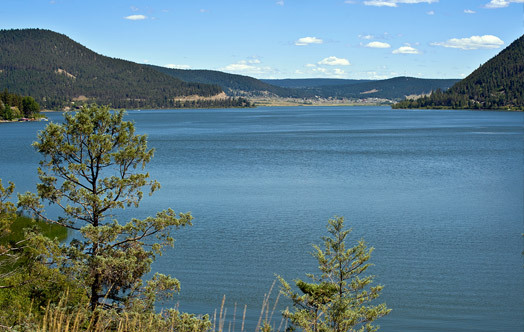 Williams Lake is a perfect community for family living. 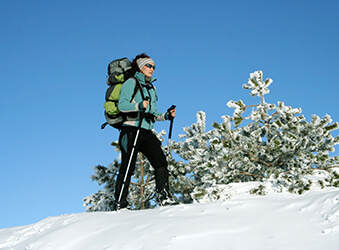 The outdoor activities are excellent (skiing, camping, fishing, mountain biking….I could go on!) and so close. We love the sense of community and work wise, the inter-portfolio collaboration here is second to none. Click to learn more about living in the Thompson Cariboo Shuswap. Click to learn more about working in the Thompson Cariboo Shuswap. Click to learn more about discovering the Thompson Cariboo Shuswap.